Hannah Robison grew up in Parkersburg, West Virginia. She began taking piano lessons at the age of five, then added voice to her training at age thirteen. Throughout junior high and high school, Hannah participated in countless competitions and won numerous awards for her musicianship. Hannah also had the opportunity to participate in Distinguished Concerts International New York at Lincoln Center in New York City under the direction of conductor and composer, Eric Whitacre, in 2011. 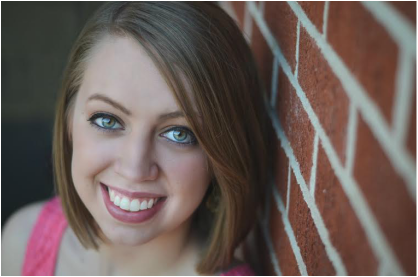 Hannah has a Bachelor of Arts degree in Vocal Music from Harding University, where she was awarded one of the top music scholarships. While at Harding, she was a member of the Chamber Singers and the Chorus, where she had the opportunity to tour all over Europe and perform in 12 different countries. Hannah was a semi-finalist in the state and regional NATS (National Association of Teachers of Singing) Competition (2011-2014) and placed second in her category in 2013. She performed with the Arkansas Symphony Orchestra (2012) and in multiple musicals including Pirates of Penzance (2012), Joseph and the Amazing Technicolor Dreamcoat (2013), and Shrek: the Musical (2014). Hannah also spent her years at Harding teaching private voice and piano lessons with the Searcy Community School of Music in Searcy, Arkansas. Since moving to Dallas in 2015, Hannah has become a member of The National and Texas Music Teachers Associations and is on the board of the Dallas Music Teachers Association. As a private voice and piano teacher, she encourages her students to enter competitions and partake in music theory tests, where they regularly receive outstanding scores and awards for their performances. Several of her students have auditioned for and earned a place in prestigious summer music programs, the New York University musical theatre department, the Children’s Chorus of Greater Dallas, and numerous musicals in the Dallas area, ranging from middle school to professional level. She also frequently accompanies choirs and solo auditions in the Dallas area. Hannah has been on the Dallas School of Music faculty for the past three years, teaching students ages 3-73. Her students are from a variety of backgrounds, each with a different set of goals. Since her priority is to help achieve those goals, she teaches music catered specifically to each student’s needs, ranging anywhere from pop to classical to country to musical theatre.